These flowers remind me of my mom, she loves flowers, specially orchids. 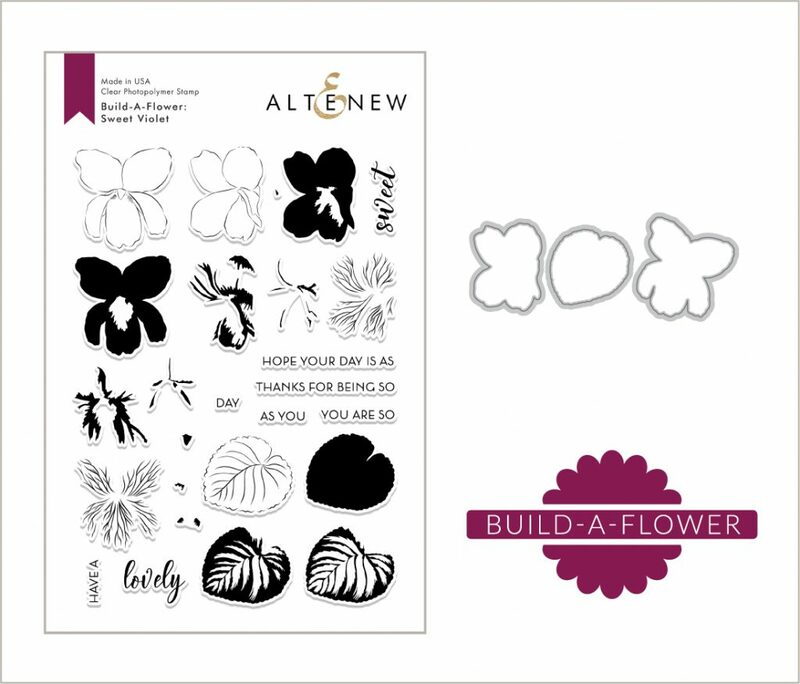 Love Love Love these Build a Flower! So sweet! Would love the chance to try them! Another beautiful addition to the Build-A-Flower series! These violets are so very sweet! My grandmother was an award winning violet gardener. This set reminds me of her and I would love to make dozens and dozens of violet cards to brighten someone’s day and walk down the sweet violet memory lane with my grandmother! I just adore violets! The purples are sooo vivid and the DTS did just INCREDIBLE projects with this set! I love the look of these violets! This die/stamp set brings back memories because when I was a child, whenever I visited my grandmother, I’d water her violet plants of which she had many. Great set! Thanks for this blog hop and the opportunity to win a prize along with getting such great ideas from the designers. I love the colors included with this set, how can you go wrong with purples and greens? Thank you to all that have shared, I just love your inspiration and ideas! This set brings back memories of the violets that popped up in my lawn in my previous home. My husband saw them as weeds he couldn’t eliminate & I thought they were so petite & such a pretty color. I have to admit that I never smelled them! Thanks for another beautiful flower. Love the violet and enjoyed the wonderful inspiration from the hop. Beautiful stamp set! Just love the layering stamps! I am excited about this launch. 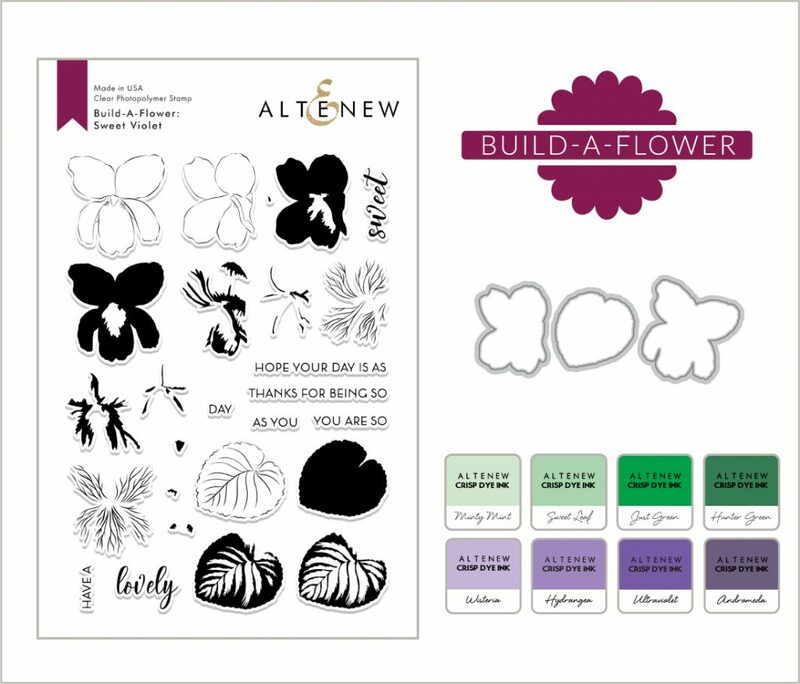 Thanks for launching a nother beautiful flower stamp set the violet as the name suggests we can build a flower using the stamp and die set and the inks .Thank you design team for the hard work. Thanks for more lovely layered flower stamps! Such a beautiful stamp set. Love violets. This hop is so wonderful, and full of inspiration showing the diversity of these new Sweet Violet images! Another fabulous BAF! And so many great projects along the hop! This stamp set is beautiful! Violets are one of my favorite flowers! What a gorgeous set! I’ve always loved these flowers. They remind me of Victoriana. Beautiful set! I love those detailed leaves! Such a gorgeous new flower set, it’s another must have for me! I like that the intro video shows how to layer the stamps from the set. And the projects that I have been seeing throughout the hop are amazing again!! I am delighted to see my favourite flower is now an Altenew set. I can’t wait to get started when my set arrives. Wow, beautiful violets. It will go well with my other Build a Flower sets and make a gorgeous bouquet. Another awesome Build a Flower set! I’m in awe of this BAF Sweet Violet set! I grow African Violets……looks like the Sweet Violet. And this will have to join my collection. Anyone that knows me, knows I love my Violets! And the inspiration that I have seen so far from your team has been stunning. Have learned some great tips too. Looking forward to seeing what the rest have to share. I love the new BAF set! I really want to do the subscription… since BAF’s are my faves! 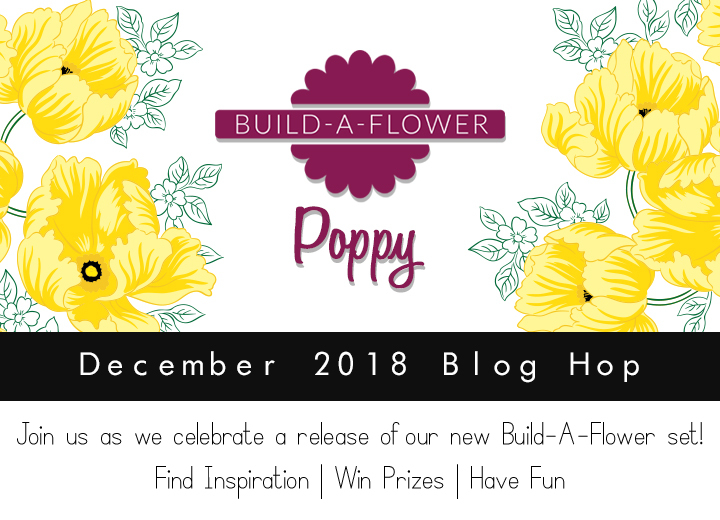 Love this blog hop and the new flower set! Reminds me of my grandma who’s favorite flowers were violets and her favorite color was purple! Sweet memories! How beautiful, your build-a-flower releases and sets are always so gorgeous! Love how real they all look! Someday I’m going to have all your collection of flowers–they’re lovely! 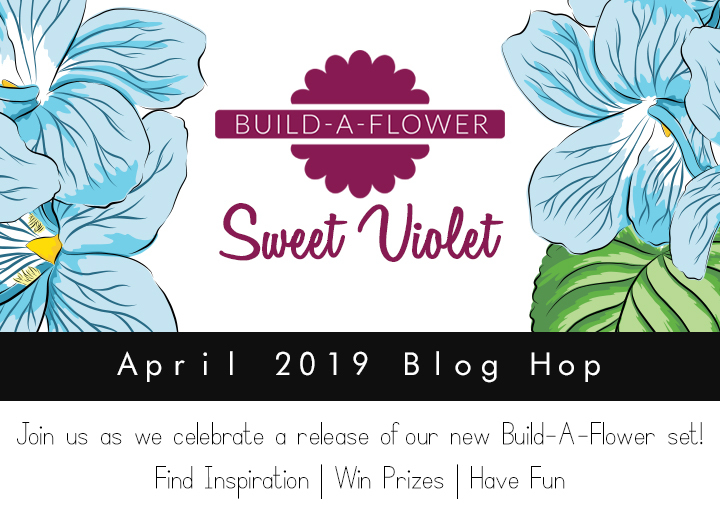 This Sweet Violets stamp set is so pretty and is a beautiful addition to your Build-A-Flower collection!I’m really enjoying this blog hop! Love the violets stamp set.. gorgeous!! this stamp set is just so beautiful! This is such a sweet new set! These are beautiful! And what perfect flower to introduce on Poisson d’Avril. I’m really enjoying seeing all the projects with these stamps. LOVE the BAF Sweet Violets set, a beautiful old fashioned flower and still beloved. Amazing details in the set for the flower and leaves. Loved this set when I first saw it, and after hopping this far, love it even more! 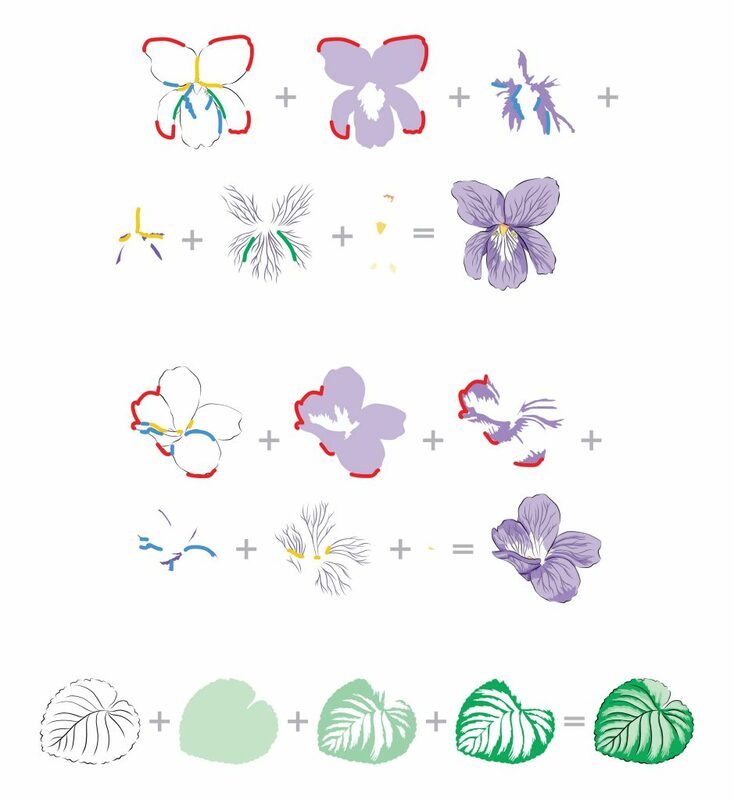 The designers have really shown so many different ways to color and create with these flowers and leaves, and now I can’t wait to get my set. I think it is going to be one of my all time faves! So many gorgeous creations on the hop! This B-A-F Sweet Violets set is one of my favorites so far! Violets… my mother’s favorite and now mine, too!